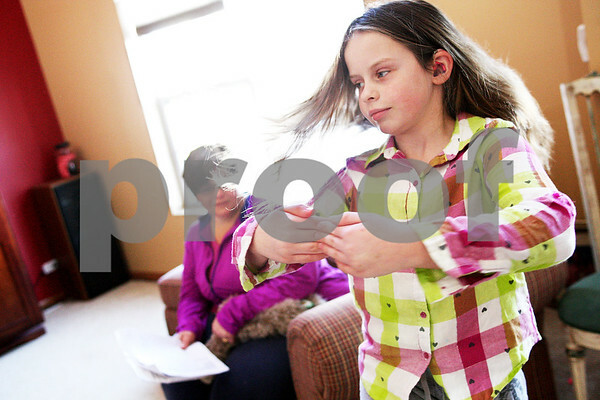 Regina Kaczmarczyk, 10, dances in front of her mom in their DeKalb home on Thursday, February 19, 2015. Kaczmarczyk was born completely deaf in her left ear and nearly deaf in her right, but has lost more hearing in her right ear over the years. On Monday, February 16, Kaczmarczyk underwent the first of two procedures for a cochlear implant in her right ear. The second of which will be March 16, when she will be able to hear for the first time.